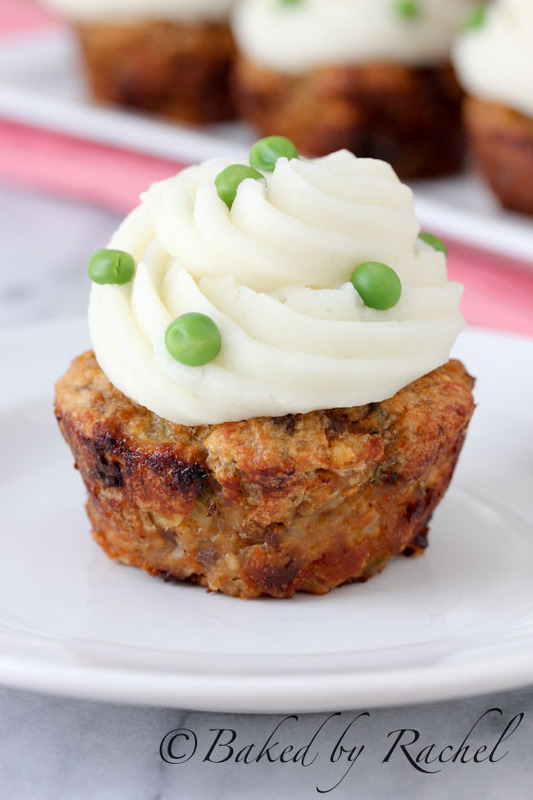 Spicy buffalo chicken meatloaf cupcakes, topped off with smooth mashed potato frosting and pea sprinkles. A perfect meal for April Fools’ Day. Last year I got it in my head that I wanted to make savory cupcakes for April Fools’ Day, only I forgot. The days just slipped by and before I knew it, I had to save the idea for another year. Thankfully I remembered in plenty of time this year. It’s hard to believe that April 1st aka April Fools’ Day is a week away! How is that even possible? I’m certainly not complaining, because it means summer will be here practically tomorrow but I’d still love for time to slow down a bit. In any case, so I doubt these would really fool anyone, but they were so much fun to make. 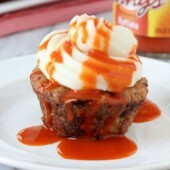 And if you have meatloaf or even specifically, buffalo sauce fans, in your life then you should absolutely make these. My original plan was to stick with basic meatloaf and mashed potatoes, but then I got it in my head that it had to be of the buffalo sauce variety for some reason. It worked and is totally necessary. The meatloaves are a mixture of chicken and hot Italian sausage, but you can use sweet Italian if you prefer. Lots of standard buffalo chicken flavor mixed in as well from celery to blue cheese and of course buffalo sauce. The potatoes are simple and toned down from what I usually make. I normally make super buttery potatoes that are just ridiculously creamy and delicious. I knew I needed them to be a bit simpler so not to out shine the rest of the dish. Hey, it’s totally possible when we’re talking about buttery potatoes. Top these off with a drizzle of buffalo sauce or mini pea ‘sprinkles’. Either is a perfect and delicious option for this savory maybe not so April Fools’ dish. But I promise, if you make these for someone special in your life, even if they aren’t fooled… they’ll still totally love them and want more! 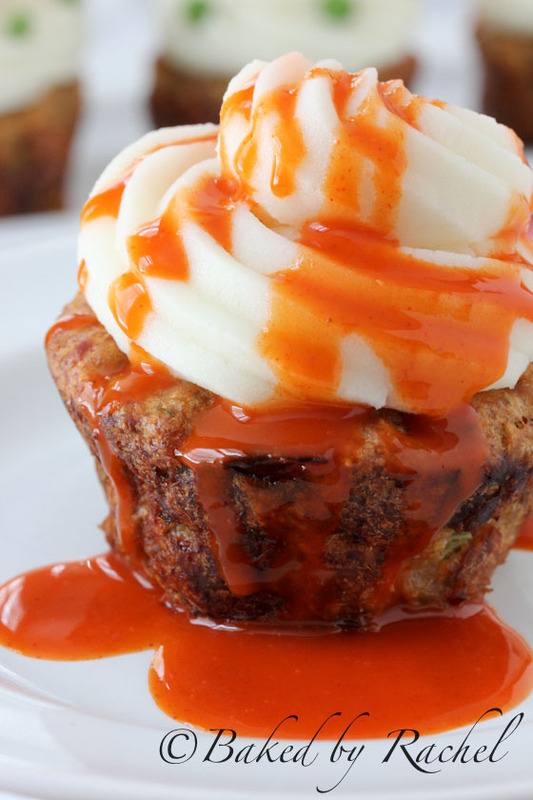 Spicy buffalo chicken meatloaf cupcakes, topped off with smooth mashed potato frosting and pea sprinkles. A perfect meal for April Fools' Day. Preheat oven to 375 degrees. Grease a 12-cup muffin pan with olive oil. In a medium skillet over medium heat, saute vegetables until tender. Transfer to a large bowl with remaining meatloaf ingredients. Combine with your hands. Divide among greased muffin cavities using a large cookie scoop. Press down on meatloaf mixture to flatten down. Bake for 35-40 minutes or until the internal temperature reaches at least 160 degrees. Peel and cube 2lb potatoes. Cook in a large pot of water until fork tender. Use a potato rice for extra smooth potatoes, followed by beating the potatoes in a large bowl or stand mixer with butter and salt. Slowly add milk until a smooth but spreadable consistency is reached. If not using immediately, cover well and reheat prior to serving. Add warm mashed potatoes to a large plastic bag of piping bag fit with a large icing tip. 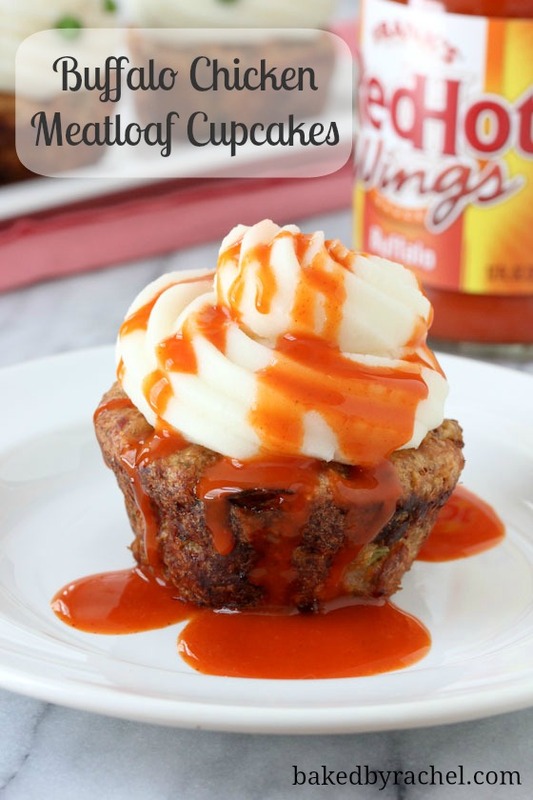 Pipe potatoes onto meatloaf cupcakes. Drizzle with buffalo sauce or add peas for sprinkles. *I used hot Italian sausage, feel free to use whichever variety you like best.